Hi! My name is Fidella. 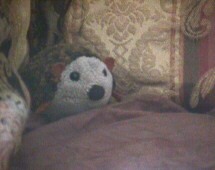 I'm a cute little hedgehog. A list of her favorite things. She can be quite emotional. A flash animation, starring Fidella. We share with you the wonderful places we visited while living in Europe for two years, as well as some of our more recent adventures. We visited Casa Grande Monument and Heard Museum. We invite family and close friends to request a username and password to view the following pages. If you have lost it or never recieved it, please be sure to request yours from Johanna . and more. Requires an individualized username and password. Last Updated Saturday, May 06, 2017 15:02:29.